Businesses that operate in the pharmaceutical industry, like many of the process industries, are required to drive continuous improvement programs with the aid of new technologies and systems in a highly competitive market. To boost productivity and efficiency, they implement strategies to increase the availability, reliability and sustainability of their systems, improve maintenance and traceability. To successfully adopt this approach, organizations demand a flawless manufacturing process that can operate across multiple function areas to enable business evolution and provide enhanced control and greater flexibility. The challenge for many businesses is how to improve production and increase the quantity of goods produced. 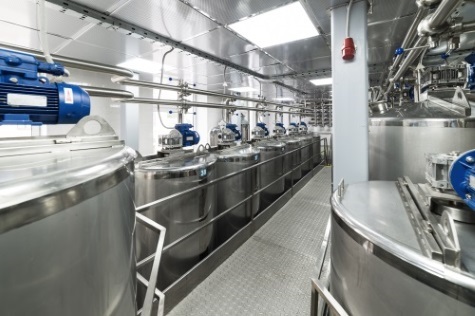 A pharmaceutical company based in Europe, who mainly produces salicylic acid and derivative products using chemical processes, wanted an effective solution to improve their production processes and efficiencies. For greater insight, reliability and traceability, they required a solution that encompassed the whole production system including the distributed control system (DCS), the manufacturing execution system (MES) and a batch information system. Importantly, the complete batch system had to conform to ISA-88 batch control standards, providing information on batch quality with a more agile DCS platform to enable greater flexibility in the quantity of products being produced. The plant consists of two main units, one with a continuous process to produce the salicylic acid, and one batch process to produce value-added products. Like many organizations in the pharmaceutical industry, the plant must comply with the Food & Drug Administration (FDA) regulations, including the 21 CFR Part 11 section on electronic records and electronic signatures. This sets out the criteria under which the processing of this electronic data are considered trustworthy, reliable, and equivalent to paper records. In addition to meeting these regulations, accurate tracking of process behavior, quality and quantity of products was to be included in the project requirements for reliability and traceability across the entire scope of the control system. Batch data that complies to 21 CFR Part 11 With considerable experience and knowledge across all production systems combined with an extensive regional install base, Yokogawa successfully proposed and installed a complete control system solution. By installing a new process control system, replacing the existing system that was based on relay circuitry and PID controllers, it provided the necessary features to simplify the quality and production reporting and monitoring requirements. This new DCS system enables better operational management with increased availability, reliability and sustainability that conforms to FDA requirements concerning validation and follow-up requirements. For information on the batch production system and to meet the regulations for 21 CFR Part 11, a batch monitoring solution was included as part of the batch control system solution. Exaquantum/Batch is an intelligent and scalable ISA-88 batch information system for analysis and reporting. For projects that include CENTUM DCS for batch processes, it is an ideal partner, offering ‘out-of-the-box’ integration and provides immediate usability and benefits without complex engineering and database configuration providing valuable information and insight for producing the value-added products. The ultimate goal for this project was to deliver improved production and increase the quantity of goods produced. By dividing this migration project into two phases, it allowed a smoother integration with the transfer of the batch unit first, followed by the continuous unit. Yokogawa’s Exaquantum/Batch was implemented first and integrated with the DCS Batch control application (CENTUM VP Batch). The main reason for this is twofold. It was critical that the control room could access the batch data from the batch historian via a single web client. Second, to monitor and record activities, Exaquantum/Batch with in-built and automated reporting functionality that adheres to the ISA-88 standards, it provided information on all batches, including model validation and modification tracking. The scope of the CENTUM DCS control layer was extended to cover the continuous processes units. With the valuable information and insight that was being generated in the batch process, it was decided to extend the installed Exaquantum server to allow external access from the office in a secured environment to oversee manufacturing across both production units. Exaquantum is often included as part of the DCS in proposals, but not considered as a separate entity. It is viewed as more of an add-on or additional component in the project schedule that is difficult to manage and does not utilize the full potential of a PIMS solution. By considering Exaquantum as a stand-alone solution, acting as a hub to distribute information throughout the business in various formats, it allows data to be transformed into actionable information. This project provided insight into both batch and process information that was easily adapted to meet the changing business needs that ultimately improved the end users production processes. Exaquantum/Batch was required to extend the functions of the DCS, for tracking and reporting on batch productions. With the evolution of the site and the expanded requirements incorporating the continuous processing unit, Exaquantum/Batch was able to meet these additional conditions. Considered as more of a plant information management system that is both agile and flexible, it was used more like a corporate historian and monitoring tool, acquiring, storing and tracking both process and batch data. This process level information was also readily and easily accessible by office staff at the business level. Deciding on reports, data analysis and the information delivery strategy can have a significant impact on the business processes, helping to ensure that the FDA 21 CFR Part 11 regulations and standards are adhered to. Additionally, this data can provide evidence to aid the decision making process to support the business for better operational management. The reporting capabilities in Exaquantum and Exaquantum/Batch should be defined and agreed at an early stage to ensure clarity of information and reporting outcomes. The standard configuration of Exaquantum easily allows gathering of live or historical values/aggregations with simple calculations and formatting. If reporting requirements are modified or adjusted at a later stage, it has the potential to destabilize workflows and mechanisms that could undermine project delivery and quality of the results.